The different aspects of nerve damage after surgery are taken into account through this article. Focus of the article is on understanding about this complex medical problem through explanation of important points. After undergoing surgery, there’s a possibility that the nerves could result in damage or injury due to bruises or cuts made by scalpel at the time of surgery. The inflammation of the tissues surrounding the nerves can also result in damage. The nervous systems serves the very important role of maintaining the function of various activities in the body. 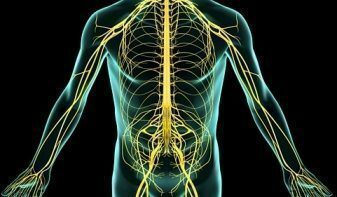 The nervous system can basically be divided into two types, the central and peripheral nervous system. Injury to the nerves is a serious matter, although many times, the damage can be repaired. Neuropraxia is a type of nerve injury where the structure of the nerve is not altered, however, the nerve impulses are interrupted as a result of injury. With this condition, several of the normal coordinated movements of the body cannot take place. Surgery can occasionally lead to complications such as nerve damage or injury. Inflammation, bruising, or cuts at the time of surgery can result in the development of conditions such as neuropraxia, a condition where the structure of the nerve is not altered but results in blocked impulses from the nerves. For more information, please feel free to ask Dr. Jimenez or contact us at (915) 850-0900.